It comes as no surprise that driving during the summer months is more dangerous than driving during other seasons simply because of increase of drivers on the road, but summer driving holds another danger for drivers as the hotter weather means more health risks. That is why it is so important for drivers to remember and take proper precautions to make sure they remain in their best shape. By far, the most important tip for staying healthy during hot months is to stay hydrated. Of course, the idea of drinking water seems to be ordinary common sense, but often drinking the proper amount throughout the day goes overlooked. For drivers working in areas that see a great deal of heat such as California and Texas, staying properly hydrated is key to feeling well and staying safe. However, even in areas that see less heat such as Kansas, keep oneself hydrated is still incredibly important. As a general rule of thumb, a driver should drink at least half of their body weight in ounces of water every day. This means that if the driver weighs 180 pounds, they should drink 90 ounces, or a little over 11 cups, a day to maintain proper hydration while working their trucker job. While this may seem like a lot of fluid to remember to drink daily, keeping water with you at all times makes it that much easier not to forget. Sources suggest that a trucker should have a large bottle, or multiple smaller bottles, of water with them to drink and refill throughout the day, but also have water stored in their cab, just in case. 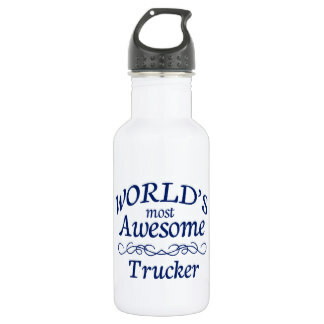 One of the main complaints that a trucker may have as to drinking large amounts of water is the fact that more water obviously leads to more bathroom breaks. While this is, without a doubt, an annoyance as well as an inconvenience, having to stop more during the day is a better outcome than suffering from dehydration – or worse. 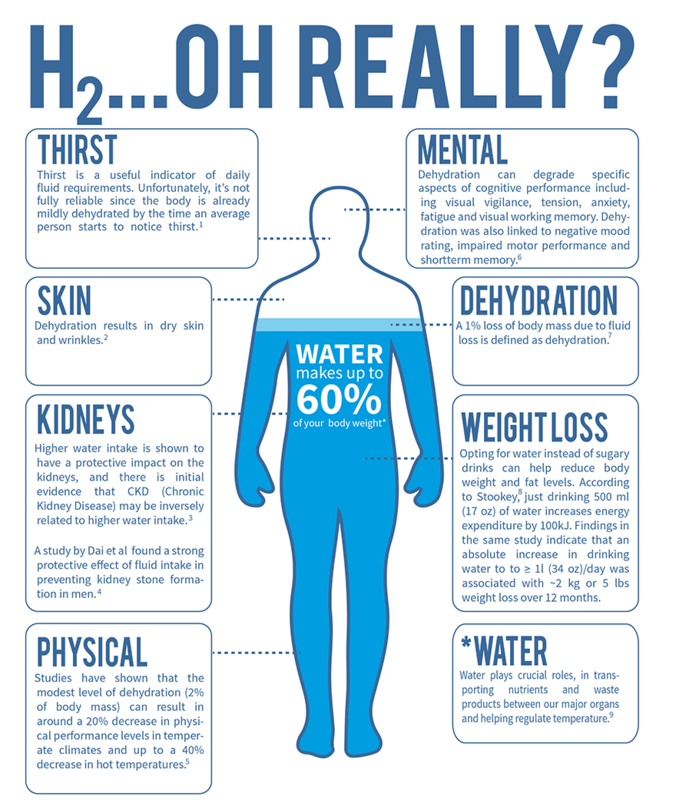 Just as important as staying well hydrated is recognizing the signs of dehydration. Most obviously, the body's first response to becoming dehydrated is to become thirsty. This is the body trying to signal that more water is needed to properly function. The other huge warning sign that one is suffering from dehydration is decreased urine production as a way to prevent further loss of water. While these are two huge indicators, there are still more symptoms of dehydration. Some, but not of them, include the body stopping the production of tears and sweat. This occurs for the same reason as earlier stated, an attempt to conserve the water that is still within the body. Due to the lack of water, dehydration will often cause muscle cramps which can be not only uncomfortable - especially with a truck driving job -, but also dangerous to the driver and others on the road. Likewise, severe dehydration can lead to nausea and vomiting and general weakness. If a driver does start to feel the signs of dehydration coming on, it is suggested that they pull over preferably where they have access to water if they do not have water with them. If a truck driver finds themselves in a situation where they do not have access to liquids, it is suggested that they call emergency services to assist with the situation. While it may seem almost dramatic to involve emergency services, they, along with fleet owners and drivers, would much rather see this happen instead of risking the possibility of causing harm to the driver, others on the road, cargo, or the truck. It is also very important to be mindful of what the driver drinks on long hauls as even beverages that advertise themselves as “healthy” alternatives to soda, such as sports drinks, sweetened tea, and lemonades, contain an incredible amount of sugar that can actually cause dehydration to occur at a faster pace.Instead, to add flavor to water, it is incredibly simple to add either fresh or concentrated lemon or lime juice to water. Another easy and flavorful option is to infuse water with fruit, which can be done simply by putting fruit directly into the water bottle or cup or purchasing a special water bottle. It’s simple to grab a soda from truck stop when heading up on a run from the peninsula of Florida to the greater southeast area, but one should be mindful of the consequences. One of the benefits so many sports drinks advertise is that they are a great source of electrolytes. While that is somewhat true, it is also important to remember that the electrolytes found in drinks are not the best way to consume them because the body digests them at such a high rate it is unable to take advantage of their benefits. To make up for this and ensure the driver does receive an adequate amount of electrolytes is simple, though. It has long been proven that various fruits and vegetables are packed with needed electrolytes. This is also good news for truck drivers because fruits and vegetables are small and easy to store – plus easy to eat for an on the go snack. Bananas, strawberries, mangos, cucumbers, artichokes, and honey. Including foods high in electrolytes in a driver's regular diet is also a great way to incorporate much needed vitamins and other nutrients, too. Another huge component of summer preparedness for any trucking job is to make sure skin remains protected. Long drives through the hot sun seem like an unavoidable sentence to trucker's arm, but there are steps to take in order to prevent it. Easily, the best solution is to remember sunscreen, no matter how tinted windows may be. The sun, even through windows, can cause serious and irreversible damage to skin. To make sure this is a point that is well understood by truck drivers, and any sort of driver on the road for a long period of time, one should look at the case of Bill McElligot. 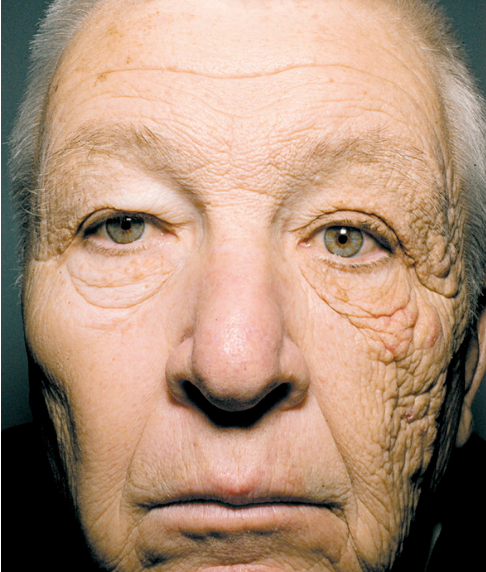 Bill, who had been a truck driver making runs across the united states for 28 years, now suffers from unilateral dermatoheliosis which causes the left side of his face to appear 20 or more years older than the right side due to extensive exposure to ultraviolet A, or UVA, rays seeping through the windows of his semi. This becomes even more shocking as it turns out that the Journal of the American Academy of Dermatology has found that more cases of skin cancer occur on the left side of the arm and face rather than the right side. Prevention is the best to make sure this condition, or even worse, skin cancer, does not happen to a driver. Obviously there are some precautions that truck drivers cannot comply with such as the idea that staying out of the sun, or minimal exposure to the sun, between the hours of 10 a.m. And 4 p.m as these are ideal times for truckers to be on the road. The easiest way for a truck driver to protect themselves from the sun is through the use of sunscreen – and that is not just applying it once through the day. Even if one is not pale, the nearly constant exposure to the sun to one part of the body for hours on end is still dangerous to even the darkest skin. That is why it is recommended by the American Academy of Dermatology for truckers to use SPF 30 or higher, but also continue to regularly reapply the sunscreen throughout the day – preferably every two hours in order to maintain its effectiveness. Another way to easily prevent harmful UV rays from reaching a driver's body is to wear a sun sleeve in order to protect against trucker's arm. While it may not be the most fashionable accessory on the market, sun sleeves can increase protection to 50+ ultraviolet protection factor (UPF), this is compared to the about 10-15 UPF a typical shirt offers. This is often a safer option than using tinted window film to help against rays as so many states have different laws as to how dark a tint is legally allowed to be. Trucker arm is not the only sort of sunburn a trucker has to worry about considering the face and head receive an incredible amount of sun through the windshield over a day of driving. While it may seem obvious, sunscreen should also be applied to the face, head, and neck, but it is also advised that drivers wear hats to offer extra protection. Much of this article may just seem like the over reiteration of the same ideas of hydration and skin protection in order to stay safe during the summer, and that is more or less what it is. Often times, though, much like with general truck safety, such facts of common sense are so basic that they may slip the mind. This can be compared to a day at the beach when because a person does not feel the direct effects immediately, they often do not realize they are suffering from dehydration or sunburn too late. Simple measures can be taken and all it truly takes is carrying an ample amount of water, healthy snacks, and a bottle of sunscreen. By making sure truck drivers take the proper precautions to stay hydrated and protect their skin, not only will they reap the benefits and stay safe during the hot months, but they will also make the road safe for everyone else.